Nasu Suketaka Yoichi (also called Nasu no Yoichi) is a very effeminate man of nineteen. 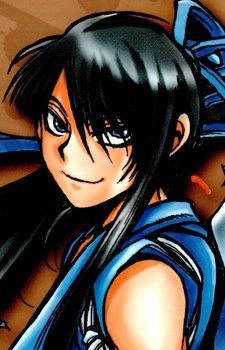 Although he died many years before Nobunaga and Toyohisa, Yoichi is the youngest in the group. His historical death date is unclear, yet some records indicate that he either died on August 8 in 1189 or in October of 1190. Historically he is known as a powerful warrior who served Minamoto no Yoshitsune during the Genpei War, and he also appears in the Tale of the Heike. However, Nobunaga notes that Yoichi is very different from historical accounts. Yoichi acts as the group's archer, killing fleeing enemies.